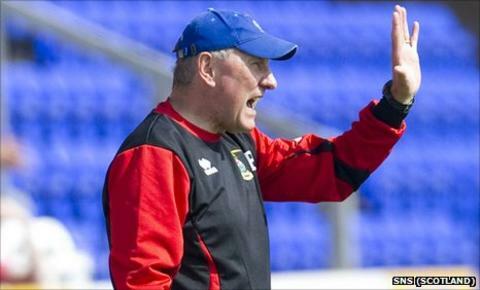 Inverness manager Terry Butcher has responded to critics of his team by insisting "they don't know what's been going on". Butcher's side prop up the Scottish Premier League but are level on points with 11th-place Hibernian. "It's certainly very frustrating when people are criticising us," said Butcher. "They don't appreciate that last week we had seven players out. "Probably five of the seven are certain starters. That's a lot to miss." Butcher, whose side travel to face Celtic on Saturday, has previously pointed out that his team has changed "radically" from last season. Aaron Doran, Jonny Hayes, Owain Tudur Jones, Lee Cox, Josh Meekings and Chris Hogg are currently sidelined, while Gavin Morrison and Richie Foran are doubtful for the trip to Glasgow. "It's really hard to take because a lot of the (missing) players are match-winners," added the former England captain. "We have to make sure everyone else does their job and does it well and grasps the opportunity, because there are opportunities there for everyone. "I did say jokingly that the first 11 off the bus will start the game. "Maybe it will be me, (assistant) Maurice (Malpas) and (secretary) Jim Falconer at the back, and the driver."